NASET takes great pride in awarding special educators for the dedication, loyalty, perseverance, and enthusiasm that they give to the exceptional students whom they educate. 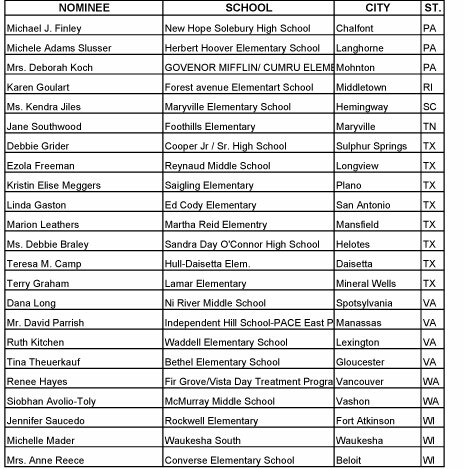 The NASET 2007 Outstanding Special Education Teacher Award is bestowed on special education teachers who have demonstrated outstanding achievement as a teacher in the field of special education. 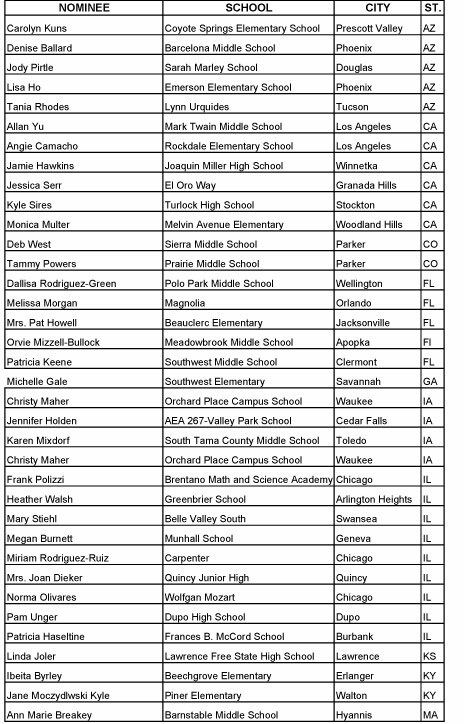 It recognizes and rewards the special skills and excellence of special education teachers throughout the United States. ADMINISTRATIVE POSITION: Director of Special Education: 12 month position. ABOUT THE SCHOOL: The School District of Cheltenham Township serves a diverse suburban community of approximately 35,000 located on the northern border of the City of Philadelphia. From tree-lined roads and elegant tranquil streets to sprawling apartment and condominium complexes, Cheltenham Township reflects a harmonious combination of residents who represent all religious and ethnic backgrounds. Being described by the U.S. Department of Education as "a shining example of what's right with education"
Being selected by Money Magazine as one of the "100 Top Schools in Towns You Can Afford"
Sending 5% of graduating students to 2 year colleges or other educational opportunities. Requirements: 4-8 yrs. prior exp. as a Director/Supervisor of Special Ed is required. Must hold PA certification in Supervisor of Special Education. Benefits: Salary range $100,000 to $115,452. Attn: Office of HR, 1000 Ashbourne Rd, Elkins Park, PA 19027. Deadline is June 15th, 2007. Friendship Public Charter School, the first choice in college preparatory public charter education is currently seeking Special Education teachers to join our team of educators. Job Requirements: The ideal candidate must possess a Bachelor’s degree (master’s degree preferred) Certification in Special Education, Experience working with students with disabilities, and Positive professional recommendations. Job Benefits: We offer signing bonuses, a competitive salary, excellent benefits, and ongoing professional development opportunities. DESCRIPTION: Three Springs is a nationally recognized leader in youth services, founded in 1985 to provide therapy and education to adolescents experiencing emotional, behavioral and learning problems. Our highly trained staff has extensive experience providing the best possible care and support. We are currently seeking DYNAMIC, ENERGETIC, AND YOUTH-FOCUSED INDIVIDUALS; to join our team as Special Education Teachers. Three Springs has been in operation since 1985 and now operates twenty-seven treatment centers for teenagers in ten states. Each Three Springs residential program provides an on-campus private accredited school that is part of an overall education program. For many troubled teens, their poor performance in school is caused by underlying problems. Three Springs focuses on the child’s individual issues and incorporates the treatment process into his or her education. Many of our graduates go on to some of the most respected colleges and universities in the country. Our individualized attention and low teacher-to-student ratio mean that the residential programs at Three Springs can take a tailored approach to educating. We currently are seeking Special Education Teachers for our locations in Mountain Home, Idaho (45 miles east of Boise) and Trenton, Alabama (30 miles east of Huntsville). At Three Springs our Teachers are an integral part of the therapeutic process. In addition to teaching course content, teachers provide instruction in study skills and “classroom survival,” understanding that many times deficits in these skills can lead to failure in school. The teachers at Three Springs work to challenge each child individually while encouraging interaction in group projects and discussions. Our goal is not only to help students remediate academic deficiencies, but also to encourage a positive, healthy attitude about education, learning, and life. Please visit our website for more information www.threesprings.com Applicants are encouraged to apply via our online application. Under Facility Search please choose either Three Springs of Paint Rock Valley Boys (Alabama Program) or Three Springs of Mountain Home. REQUIRMENTS: The candidate must possess a degree in education with emphasis in Special Education from an accredited college or university. Appropriate certification to teach is required. 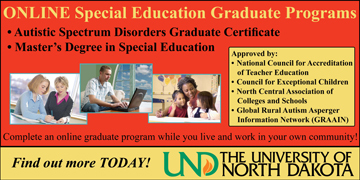 A minimum of 1+ years experience in special education is desired. Finally, the successful candidate will be a self starter, creative, and able to work independently. Minimum Qualifications: A degree and/or professional certification in special education or related specialization, with a minimum of 4 years relevant experience, at least two of which were in a leadership role (e.g., department head, coordinator, supervisor, director). Advanced degrees preferred, but not required. Benefits: Tax free income up to $80,000, insurance, housing, car and many other perks.